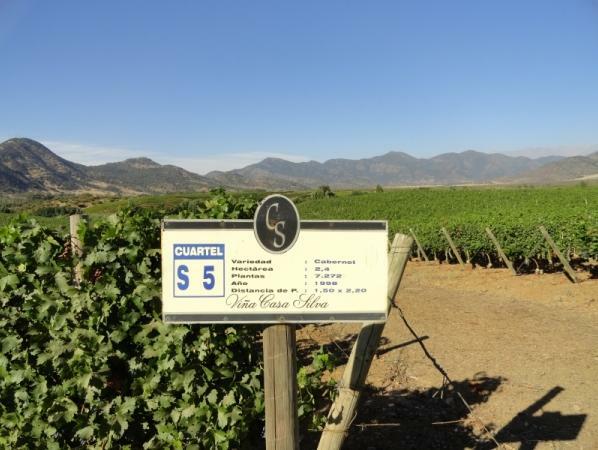 "The southernmost portion of the Rapel Valley – Colchagua Valley – is one of Chile's best known wine regions; generally, it is the region that has garnered the top scores and press. The majority of the wineries are concentrated in the center of the valley (Entre Cordillera), although the pioneers are looking at the coastal areas to find new terroir. The Silva family pioneered grapegrowing in the Colchagua Valley with the first vineyards back in 1892. Their cellar is the oldest one in the valley. Casa Silva is one of Chile's finest and most traditional wine estates. That said, they do not believe in relying on tradition to deliver award-winning wines. They strive to innovate in their vineyards and to find new terroir in the coastal areas and the foothills of the Andes. But they do all of that in the context of their valley, which continues to live a lifestyle that reflects the traditional values of Colchagua." James Suckling 93"Pretty aromas of blackberries and flowers with hints of spices. Stones. Full-bodied, firm and silky. Beautiful finish." Vinous Media 90 "Inky ruby. An emphatically fruity bouquet evokes fresh black and blue fruits, violet and cracked pepper, with a hint of smokiness in the background. Silky and seamless on the palate, offering juicy blueberry and boysenberry flavors that are given spine and focus by tangy acidity. Wine Spectator 89"A nice ripe version, with a layer of vanilla toast guiding sweet plum and mixed berry fruit through a creamy-textured finish. Drink now through 2009. 15,000 cases made."